Barbara Holt, 71, passed away Friday, November 18th at her home in Merrimack, surrounded by her loving family. She was born in Bridgeport, Connecticut, daughter of the late Mary and John Phillips. Barbara taught Latin, French and Spanish in Milford for more than thirty years. She had a lifelong love of travel and in her retirement she enjoyed traveling, playing bridge, knitting, playing tennis and participating in aqua aerobics at the YMCA, learning piano, doing crossword puzzles, and spending time with her family, especially her grandchildren. She and her husband spent winters in Puerto Vallarta, Mexico, where she volunteered and taught English to disadvantaged children. 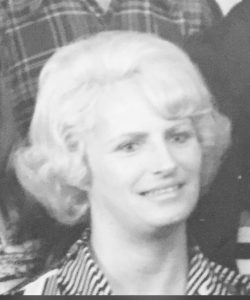 Barbara is survived by her husband of forty-eight years John Holt, daughter Amanda Holt and her husband Bernard Chang of Newton, Massachusetts, daughter Melissa Holt and her husband Lowell Mason also of Newton, Massachusetts, a brother Jack Phillips of Alabama, and grandchildren Benjamin, Nicholas, Julia, Katherine, and Emmeline. Calling hours and Memorial Service had taken place this past Tuesday. In lieu of flowers, contributions in Barbara’s honor may be made to Fundacion Corazon de Nina (fundacioncorazon.mx), an organization dedicated to at-risk girls and boys in Puerto Vallarta. To leave an online condolence, please visit www.rivetfuneralhome.com.